October 25, 2012 Leave a Comment on Love for My Leaders! 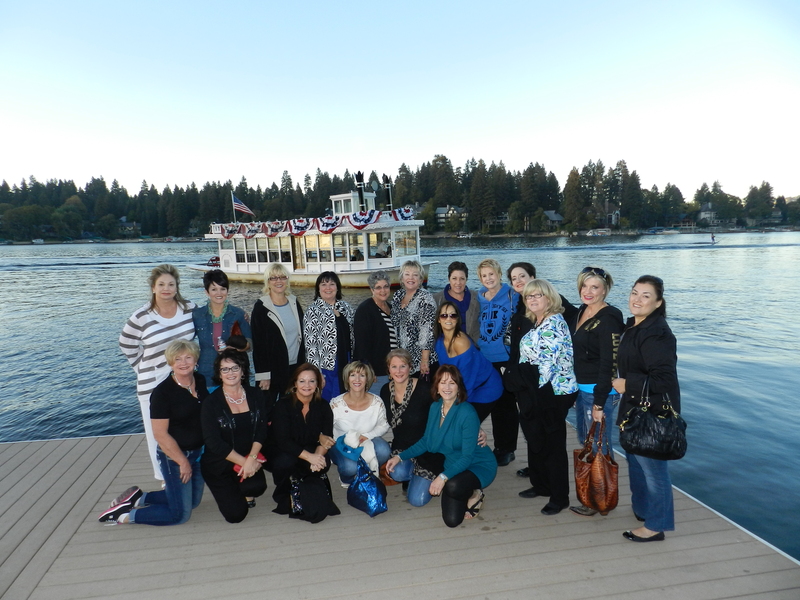 This past weekend I was able to spend quality time with my lovely and talented SeneGence Field Leaders at Leaders Retreat 2012 in Lake Arrowhead, CA. It was a wonderful event filled with learning, sharing, growing, and having fun. The setting was absolutely gorgeous! We kicked off the retreat with etiquette training presented by the Jonnie Fox Flanagan of the Magnolia School of Etiquette and Protocol. We learned a variety of etiquette practices, from boating to fine dining to business meetings! I think we should always be looking for ways to improve our professionalism, and training with Jonnie was a huge success. 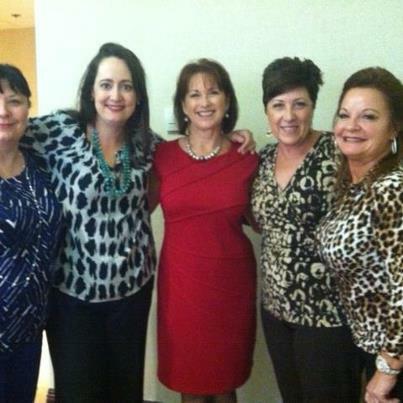 Here’s Sandra Grace, Leta Greene, Jonnie Fox Flanagan, Kelly Robertson, and Kaylen Young, looking gorgeous! 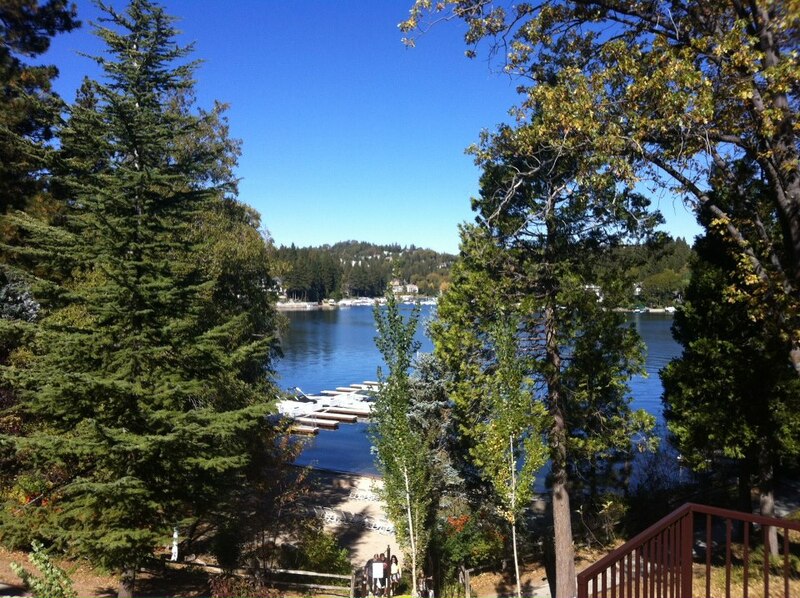 We enjoyed a relaxing boat cruise on serene LakeArrowhead, where we were able to catch up with each other while learning about the beautiful environmental surroundings. We saw incredible lake homes and beaches. We incorporated into training many activities for our Leaders that enriched their knowledge and leadership skills. 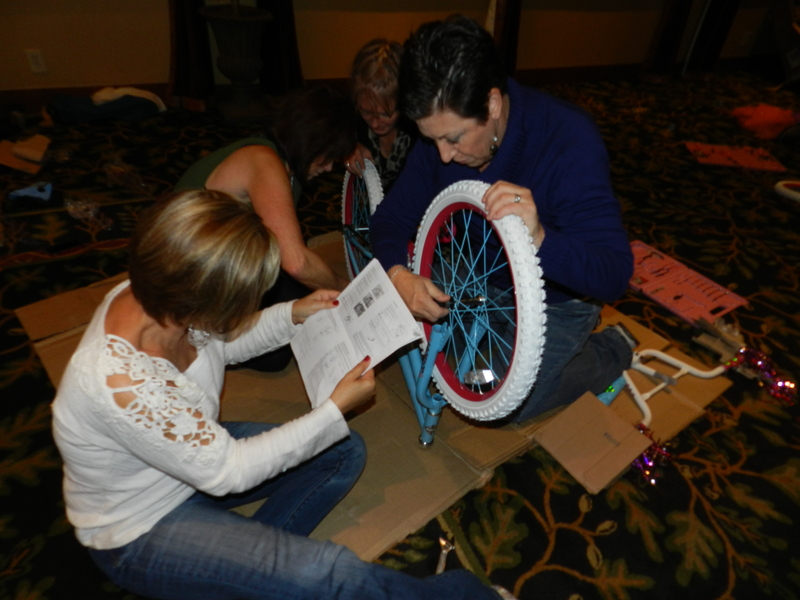 Here is a team building exercise, in which each team had to work together to put together an adorable girls’ bicycle. It took communication, listening, and working together to be successful! 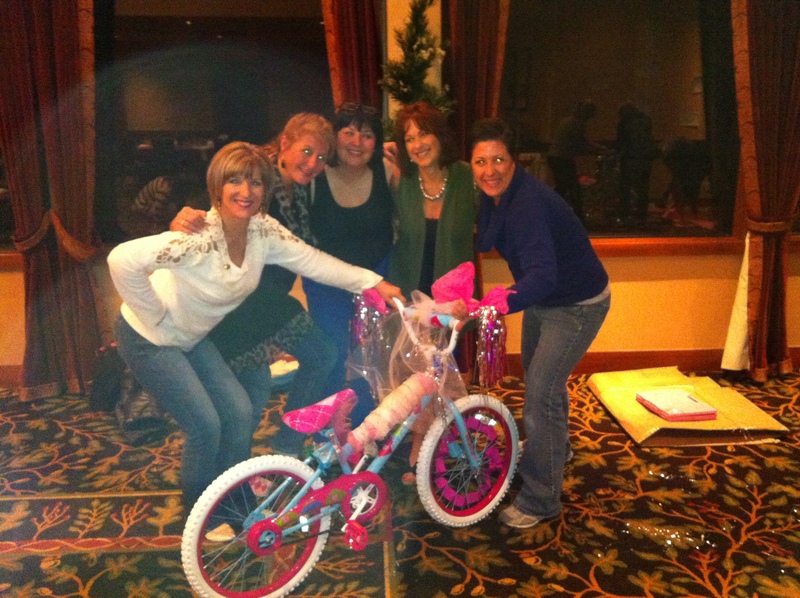 When each of the bikes were completed, they were given to several underprivileged deserving little girls who lived in the area who were just thrilled with their new pretty pink bikes. The winning girls were local students who wrote and presented impressive essays on leadership. It was quite amazing to learn a powerful lesson from the youth. Now, with all that learning, we didn’t forget to have fun! These Leaders know how to have a good time! Each enjoyed reconnecting with old friends and getting to know new ones on a deeper level. 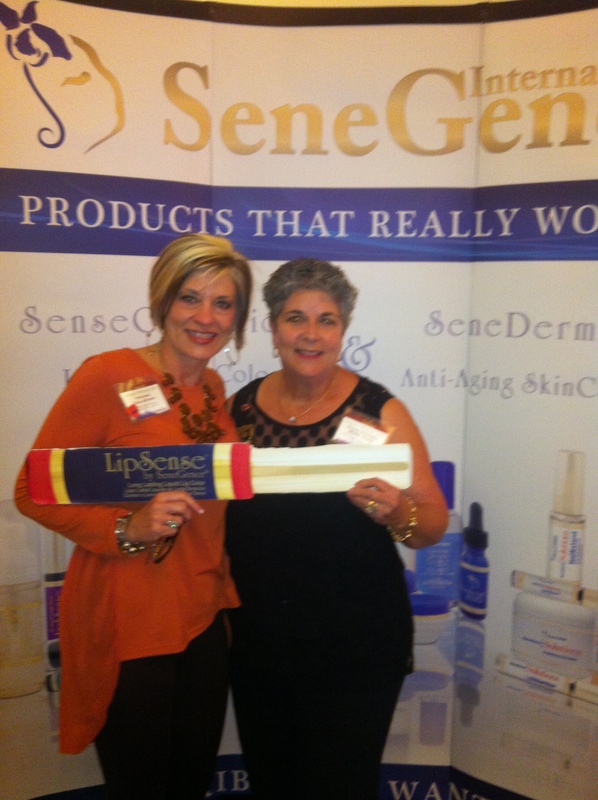 SeneGence Distributors have a chance to win again this quarter! At our “Come as you will be in 2017” Dinner, I got to see my Leaders’ dreams and where they want to be in five years. I know they will achieve their goals, as they have chosen to live life in love and abundance, and work for it with a SeneGence career that really works. 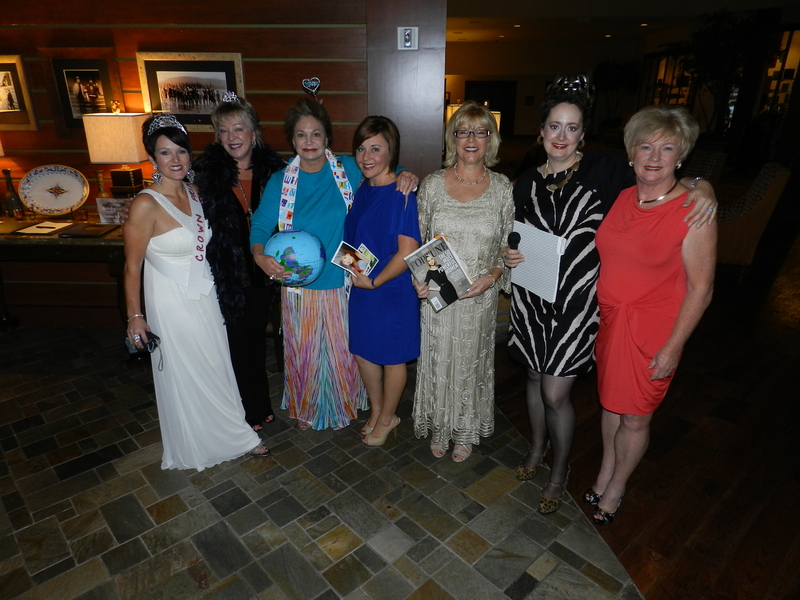 Left to right, here is Dawn Christian, Cathy Hoolihan, myself, Kirsten Aguilar, Cheryl Joyce, Leta Greene and Priscilla Markham. Our Leaders Retreat was a fantastic event. Attending Distributors were able to grow and learn in a relaxing and supportive setting, and managed to have lots of fun in the process! 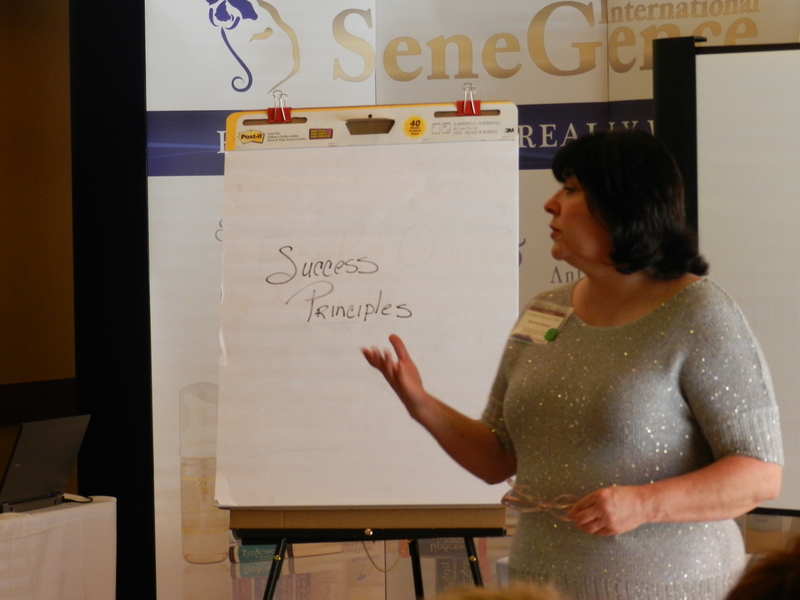 Attending Leaders Retreat and many other fantastic SeneGence trips are some of the things you can look forward to when you join SeneGence. With a SeneGence career, there are many achievable opportunities and rewards you can work towards acheiving, all the while growing your business and still having time to be a good wife, mother, and friend. Join us next year in Palm Springs for another informative fun and educational Leaders Conference next October! 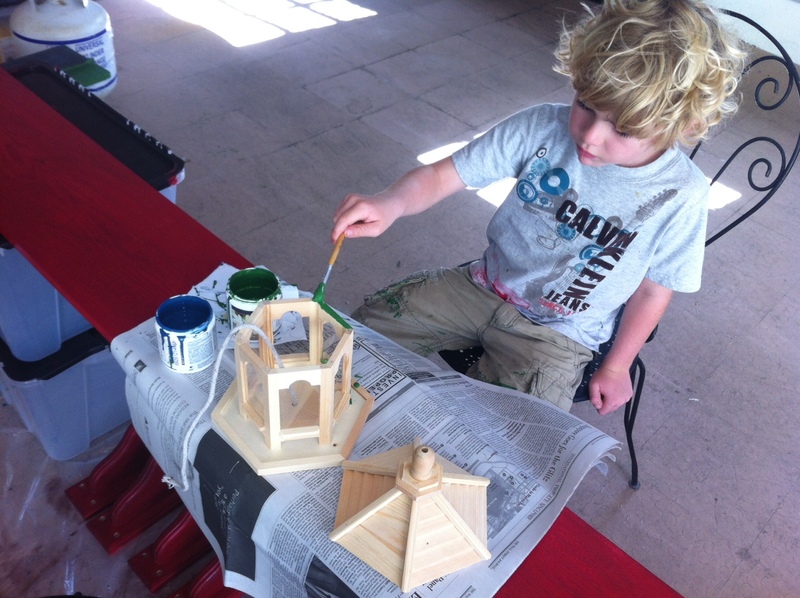 After we finished painting those, we moved on to painting a bird house to hang in the backyard. 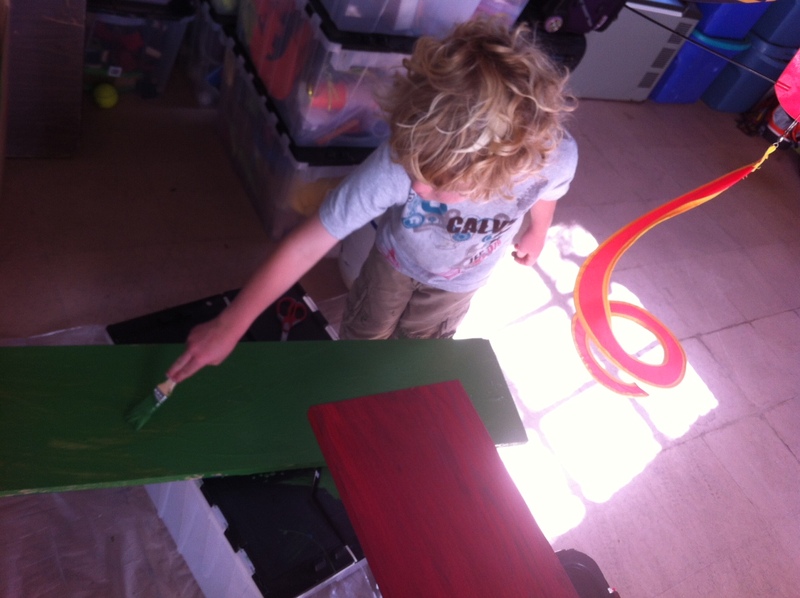 William is very creative and thoroughly enjoyed being able to work with his paintbrush and make the bird house beautiful to hang in the “bird city” we have going on in the backyard. 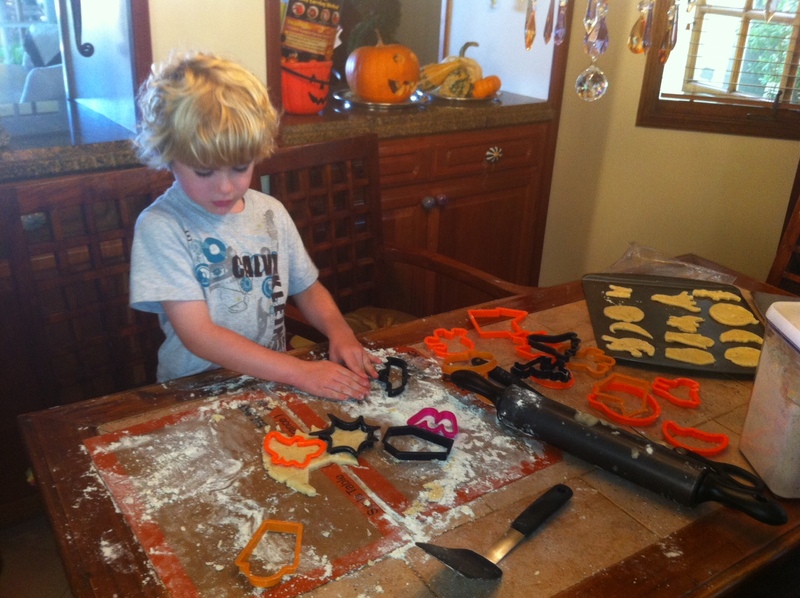 Finally, after all that painting, there was nothing left for him to paint so we decided to bake Halloween sugar cookies. He had a ball stamping out fun shapes like bats and haunted houses for Halloween, and almost as much fun enjoying some of those treats after they were baked! It was a fun and productive weekend with my family; working together to create things is a great bonding experience. 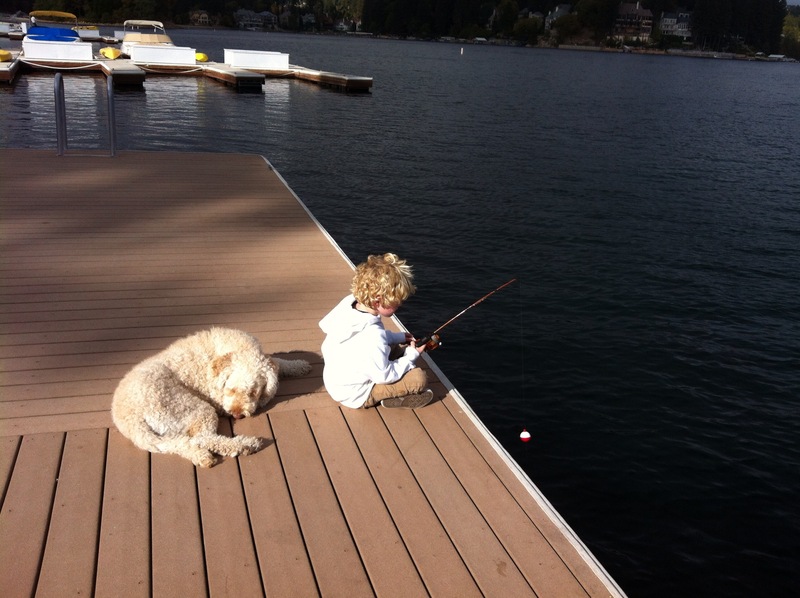 Having the opportunity to make lasting family memories like these is something that everyone can have when they become a SeneGence Independent Distributor. By signing up with SeneGence, you are choosing a life where you can have it all: time to take part in precious memories with your loved ones, and the opportunity to have a financially and professionally fulfilling business career. So, choose to live life in love and abundance, and then…work for it! Last weekend I had the pleasure of spending a few hours of the day with two lovely Distributors, Royal in Waiting Tania Leon and Anacelia Chavez, at a bilingual tradeshow event. 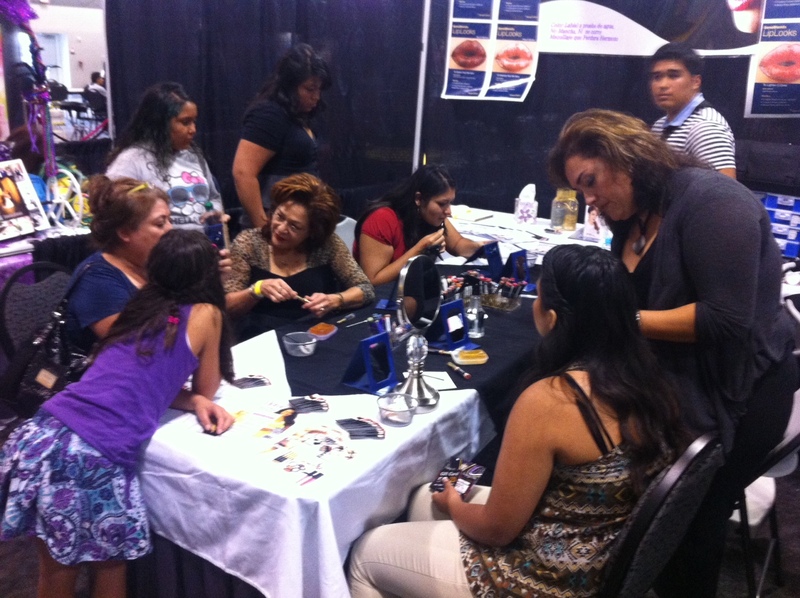 We had a great time showing off the long-lasting benefits of LipSense to many, new Hispanic Customers. Everyone gathered around the tables to witness LipSense and its unique ability to be layered to create endless lip shades, and its incredible staying power-it won’t come off, even if you rub your lips hard! This translates well no matter what language one speaks! 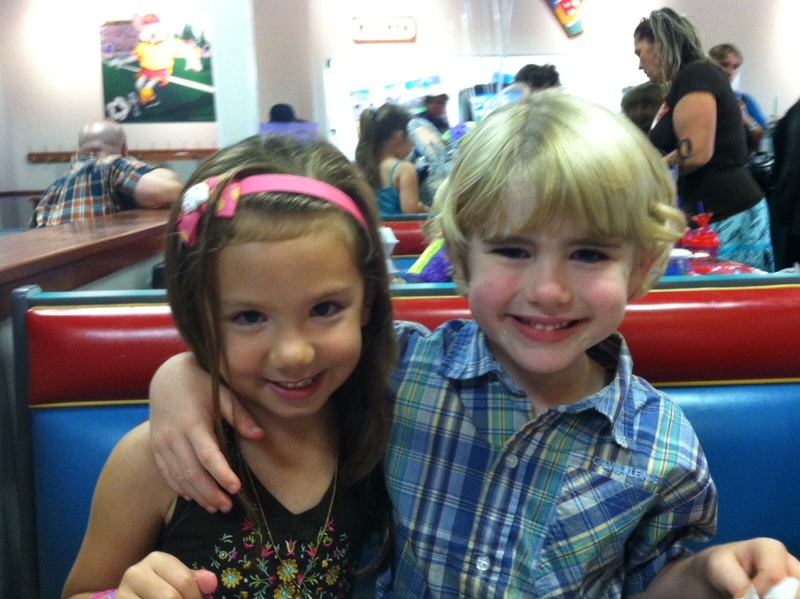 While I was at the event, my youngest son, William, was in heaven on a play date with his best gal pal, Sophia. They’ve known each other since they were just three months old and are great friends. Here they are, all smiles, at Chuck E. Cheese’s for the afternoon. I ended my weekend with a fun project: William and I took time to make a fairy garden! 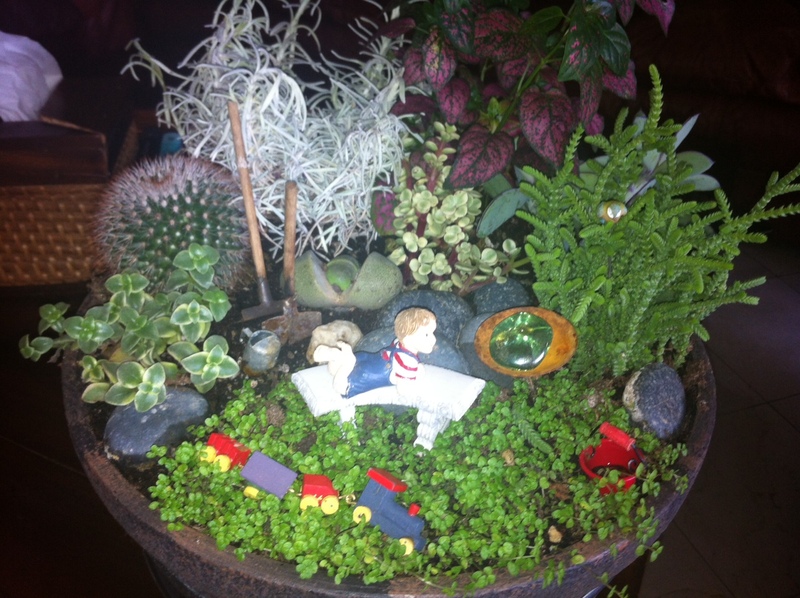 He absolutely loved choosing and planting the different types of plants and placing the little bench and train on top. I think it turned out pretty cute! The weekend was a wonderful balance of work and play. If you become a SeneGence Independent Distributor, you will have the opportunity to experience this balance for yourself. There is nothing more fulfilling than being able to have a successful career and have quality time to spend with your loved ones. Also, by providing customers with products that work as well as they claim, you’re helping to enrich the everyday lives of women who want, and need, long-lasting cosmetics and skincare that make skin more beautiful with each use. What woman wouldn’t want that? Until next time my lovelies, and continue to live life in love and abundance…then work for it!